Located at 1152 15th Ave NE, this unassuming food truck houses a treasure trove of savory snacks, from juicy pork burritos to Oaxacan specialities like chapulines dorados and rich and smoky mole. Fill your poké craving and explore a range of Japanese comfort food. The seafood is fresh, the sauces are bright, and the service is friendly. Spicy ponzu sauce for the win! A perfect sandwich is a thing of beauty indeed, and the folks at Tubs have the golden touch. We’re big fans of The Southerner, a spicy concoction of ham, bacon, and cheddar, topped with “BBQ dust” and Tabasco. Not a meat eater? The menu also features an impressive selection of vegetarian options. Want to get your munchies on? Swing by our Seattle pot shop on Lake City Way and check out our fine selection of cannabis—from prime buds to Washington’s best THC edibles. And if you’re looking for a bargain, Greenside Recreational is your jam. We’re currently offering an extensive selection of specials, including some great deals from Top Shelf: Blue Dream for just $13 a gram; Death Star at $10 a gram (for bulk sales only); and Purple Champagne for $13 a gram. 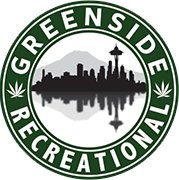 Greenside Recreational is located at 9048 Lake City Way NE, and open Monday-Saturday from 9 AM to 11 PM and on Sundays from 10 AM to 11 PM.